Avengers is everything, everything the summer blockbuster should be. It’s genesis spans decades, not just in the sense of Marvel comics, but in Hollywood itself. 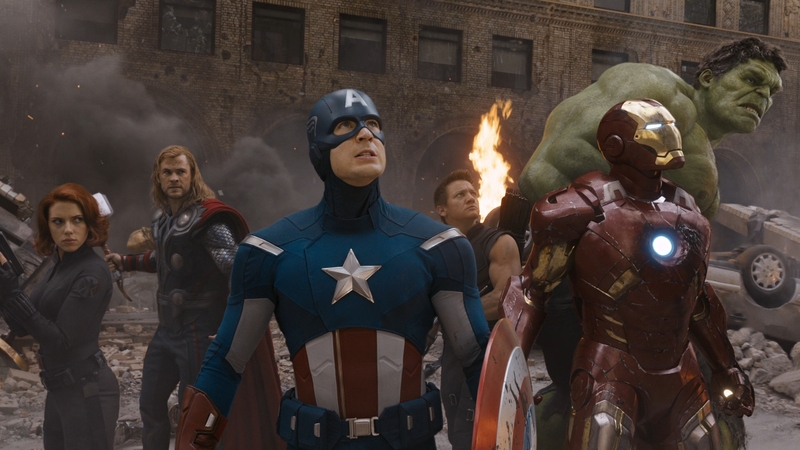 Star Wars created the idea, Avengers brings it into the modern cinematic fold. It’s not stupid, almost in the sense that it’s a two and a half hour middle finger directly pointing towards Michael Bay. This is how movies of this caliber should be spending their time, with character, action flourishes, and visual effects that reinvigorate everything computerized effects can be. Avengers is astonishing in that it even happened, the myriad of ego plays, contractual issues, and creative breakdowns don’t allow films like this to occur anymore. 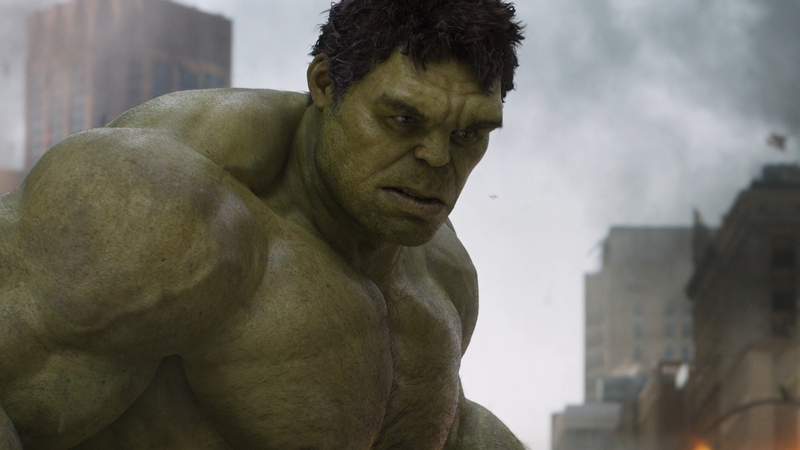 The ones that slipped away even benefit the piece, Mark Ruffalo’s Bruce Banner -and certainly the other half of that character- portrayed with the right essence and ideals. Conflicted, angry, and smash. Smash he will. Penning and directing is Joss Whedon, which shaky expository start or not, is a creative mind fueled by pure thrills. His Avengers gains latitude with precise attention paid to screen time, and snarky one liners that bridge dramatic elements. Even in the midst of chaos, the Marvel icons are having fun. So is the audience, lapping up a villain in Loki (Tom Hiddleston) who is as much a threat as he is this universe’s grandest punching bag, directly or indirectly. He was adopted, you see. The balancing act lines up evenly, portraying both hero and villain on equal ground. As often as fan service is paid with Thor (Chris Hemsworth) and Iron Man (Robert Downey Jr.) brawling intensely, the time outs are taken to admire Black Widow’s (Scarlett Johanssen) stealthy intelligence breakdowns. In the world of The Avengers, brains and brawn co-exist. It doesn’t meander or talk down to an audience, or distract with unnecessary visual effect flourishes. It’s a calculated, precise piece of popcorn art, the type that defines the term “summer blockbuster,” and possibly redefines it. The film was built on the backbone of individualized Marvel endeavors, films that almost annoyingly hyped this ensemble to where that individuality was stripped bare. Oh well. Fanboy flourishes turn into a treasure trove of geekdom dreams, where yes, the geeks have won Hollywood. If anything, it will be difficult to accept the smaller, more contained Marvel efforts moving forward. Comic book films have reached a crescendo few probably ever thought they would after decades of tumultuous endeavors ruined reputations. Maybe what you’re reading is pure, gooey fanboyism at play. You’ll find no argument. But, think about this: Who is the hardest audience to please? The ones already invested. You don’t screw up what someone already loves or you end up with Godzilla ’98. You treat it with a passion, charisma, and energy, something seeping into each frame of Avengers. It’s bold, loud, and all too willing to play to its audience. Avengers (mostly) digital photography isn’t immediately grabbing. It wasn’t in theaters, and it isn’t here. Color palette plays a role, a movie of primary-drenched heroes diluted down to orange & teal tones is hardly enticing, and black levels carry a distinctive digital glow. Medium shots feel flat, even a bit over processed, while aliasing can be excessive. Windows in the control room of SHIELD’s ship flicker relentlessly with camera pans, while Black Widow’s belt is a haven for shimmering. Does that lower Avengers into a lesser echelon of Blu-ray? A little, sure. Compared to the sheer visual ferocity of something like, say, Battleship, it’s not all there. It’s even disappointing to see such a ridiculously expensive feature look anything less than stellar at the source, but alas, it does. There’s something to be said about watching Battleship for any reason, but this isn’t the place for that debate. What’s impressive? Clarity, for sure. Given the mass of visual effects being trotted out on the screen with such regularity, it’s a wonder how this feature doesn’t break down into a haven for video noise. Then again, maybe it did and that’s why some of those shots appear unnaturally flat. Still, few will argue with the window-esque nature of the imagery, all the more impressive when showcasing wild cityscapes and massive worm creatures descending from an alternate universe. Avengers can be lush with its definition, striking in its level of facial detail and ability to resolve the massive textures fitted on the effects work. It’s never ending. Close-ups carry a resolute sharpness (at times) that dazzles, bringing with them layers of texture that leaves no doubt this is HD material. Even when compounded with special effects (say Tony Stark inside the Iron Man suit) there’s no loss of intensity. Be it as it may, Avengers is certainly modern in its look. There will be no mistaking it in the future for its era. The color palette gives it away instantaneously, and those plastic-y medium shots are sure to be hallmarks of this still blossoming era of digital cinematography. Disney’s encode lives up to their past which means perfection, and with endless motion, debris, dirt, and whatever else this feature conjures up, that’s impressive. Further in on the impressive angle is the 3D, a generous and giving presentation with plenty of creative sparks. This world of future technology is littered with floating computer monitors to make dialogue scenes fun, and of course, ludicrous amounts of action. Mix this together with the window-like clarity (dim colors or not) and the action scenes are enthralling. Watching Iron Man zip around the screen is pure joy, and with a few shots from his perspective in the air, the effect is downright dizzying. Some moments seem especially prone to cross talk, nothing to be terribly alarmed with, but those moments are certainly there. Any disc that can make the rather murky Bruce Banner introduction look better is worthy of your time. A handful of additional aliasing spots (watch the floor when Nick Fury first imprisons Loki) and maybe a hint of sharpening not withstanding, visual quality is identical to the 2D version. Avengers is one of the few live action 3D discs that truly shines for the entire presentation, hedging all of its bets on the material itself. This is a busy film with a constant need to impress. The visual effects (the plethora of them for sure) only help. Where to start with this audio mix… how about the first five minutes? As the Tesseract gains power, the rumble begins, a rumble that won’t stop for the 140 minutes. This is a test for a subwoofer and the electric bill that follows when you realize how much juice it takes to power a film like this. If Avengers isn’t big enough for you, one has to wonder what is. There’s a side that could say Avengers is all too much, almost overwhelming. For its propensity to scale up action, it’s also a film that loves to build on character. Quiet dialogue is almost never in balance, but then again, something has to prop up the action. This isn’t the type of movie that comes along all that often. So off this DTS-HD 7.1 mix goes, showing off stereo separation during the wild nighttime forest fight, surround use during the awe-inspiring air battle, and hodge podge of, “Holy crap, this is the best disc ever” moments during the 45 or so minute finale. This doesn’t miss a beat, and so accessible is the content, few will ever need a primer to know what’s going on during a system demonstration. It’s stunning how many elements hit their mark, from the flare up of Iron Man’s jet propulsion to the stomps of the Hulk; nothing misses a chance to be showy to the top tier of Hollywood sound design. Around the hour and 42-minute mark, a laser shoots into the sky and it’s all out war that is ceaseless in its ability to entertain at any level. It’s not possible to forget a mix like this, mostly because it will become engrained from repeated viewings just to listen. It’s amazing that a $220 million production only has 14-minutes of behind-the-scenes featurettes split into two sections. In other words, you’re likely getting double dipped. Joss Whedon’s commentary is the deepest material here and he goes in alone. Users of iOS devices can access Second Screen for added material if you so desire. Item 47 is the mini-movie Marvel slips onto their discs to fill in story gaps. Avengers isn’t free from them. Deleted/Extended scenes take up 15-minutes, and there’s a music video that follows.